Calorie counting used to be a tedious task. You had to write everything down on paper, then take the time to look up calories and do the math. Now, convenient apps make it super easy! Apps pre-program the calories for all your favorite foods and chain restaurants. Will using an app help you lose weight? Clinical research shows keeping track of the food you eat helps you lose weight, so download a free app and start today! The number of calories you need depends on your weight goals. To lose weight you must eat less. To gain weight you must eat more. To maintain your current weight, you need to eat the same amount of calories. 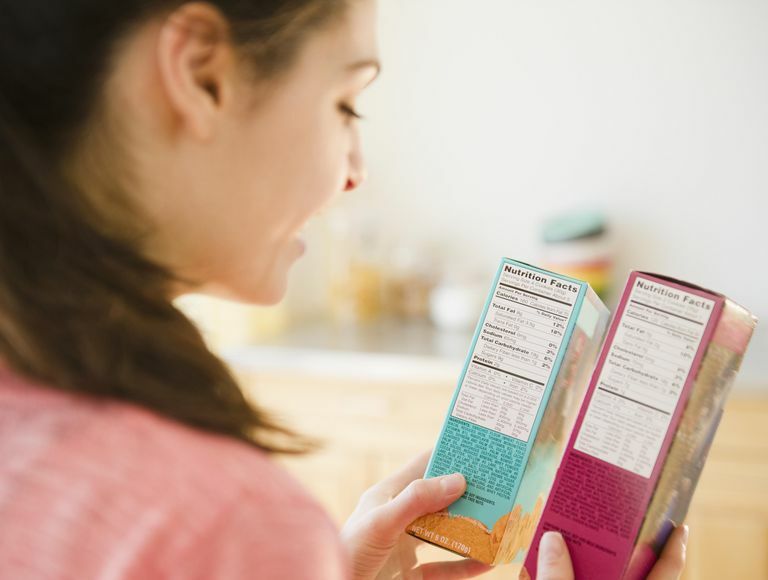 The label of the foods you eat tells you the number of calories per serving size. If the amount you eat is larger than the serving size, add the calories accordingly. If you don't have a label to read or the print is just too small, turn to your calorie counting app for the necessary information. Go to a calorie counter website and enter foods you commonly eat or restaurants you go to. Before clicking on an item, guess how many calories it has. It might surprise you that some foods have twice the number of calories you thought, while other foods have a lot less. Keep surfing until you start getting them right, and have fun. My rule of thumb is that whenever I have something with cheese or dressings, I add around 150 calories to my estimate (per serving). That “per serving” is very important. If you have a giant salad at a restaurant (often about three servings worth) and you put dressing on it, you have to take that 150 calorie estimate and multiply by 3. So, the dressing on a big salad could be as much as 450 extra calories. Basically, your entire meal should fit on a small 9-inch plate without creating any skyscraper piles. If you stick to that guideline, you’ll be eating one portion of each thing. Sodas, sweetened juice, frappes and more can contain hundreds of calories, while unsweetened tea, coffee or water don't. As a general rule, one bottle of beer, one glass of wine, one can of soda or one energy drink is about 150 calories. One medium latte or smoothie has about 300 calories.